What would you really like to see when you launch a new browser tab in Chrome? A blank page? Google? Tiles of your favorite websites? Or what about the time and weather where you currently are? If it’s the latter, then this Chrome extension has you covered. 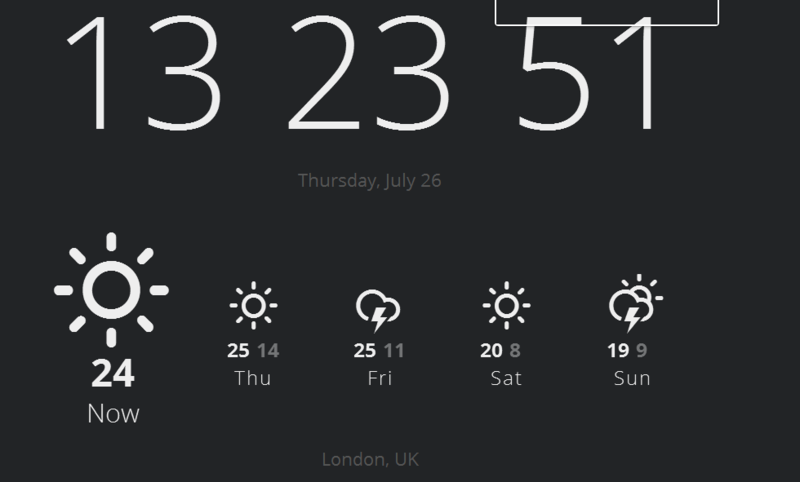 Currently offers a beautiful interface containing just two pieces of information – the time and the temperature. Once you have installed the app, you’ll likely want to dabble with the settings to suit your location – Fahrenheit or Celsius? 12-hour or 24-hour? Dark, light or blue background? And what about ‘seconds’ or ‘animations’? Once you click save, you’ll be greeted with something that looks a little like this each time you create a new tab in Chrome. A game-changer? Nope. But it is a really nice app that’s underpinned by minimalist design aesthetics.